Goodness Guys, it has been so cold lately! I think the weather is going to be in the 60s for one day… then right back to the 30s. 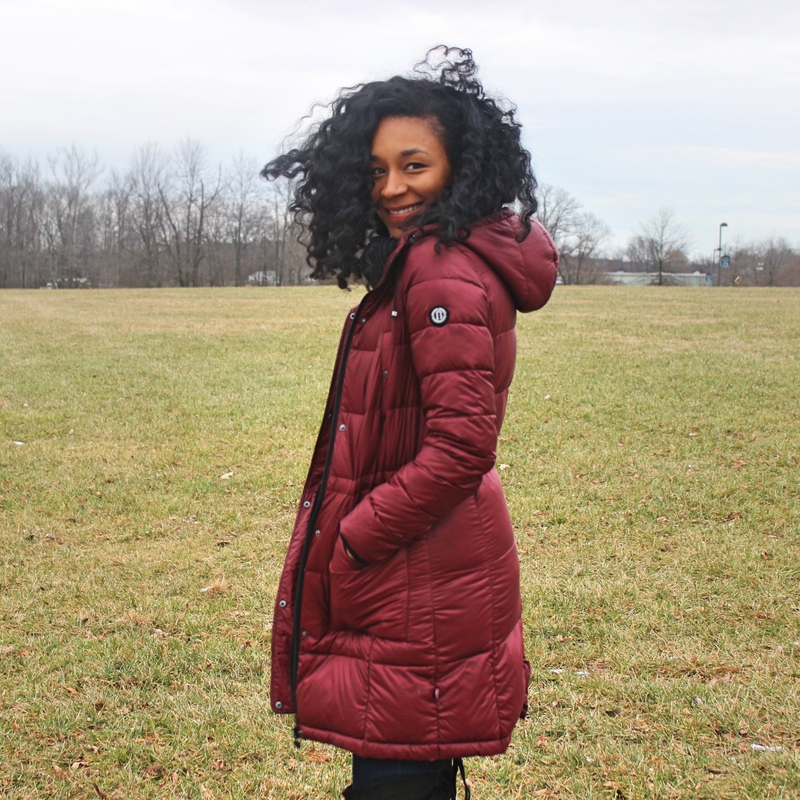 Needless to say I have been living in my puffer coats lately. I actually got this one for Christmas. I love the color and the length. Clearly, on this particular day it was cold and windy which is why my hair is all over the place. I just bought these boots in a flash sale on Hautelook/Nordstrom Rack. I have been on the hunt for a pair of navy blue over the knee boots, I found a pair at DSW but they made my thighs look huge (I am dramatic but it was not flattering). I was nervous to buy these expecting the same result. To my surprise they worked. A trick I have learned over the years, if you art attempting to slim your leg line keep to a monochromatic color scheme on your bottom half. Being that I have on dark jeans and dark boots it worked. A plus for these shoes is how comfortable and they keep you warm!